The Army has formed seven cross-functional teams, or CFT, to address its six modernization priorities, which will be nested within the service’s new Futures Command expected to stand up in the summer. McIntire is addressing AMD modernization from a variety of avenues including bringing Short Range Air Defense back into the force, but the CFT identified the importance of ensuring the service is getting everything it can out of its current systems, he said. Getting THAAD and Patriot to talk to each other is extremely important in building better operational capability and a better picture of incoming threats. The CFT held an industry day bringing together key stakeholders including the U.S. Missile Defense Agency to work on the challenge of integrating the systems, McIntire said. Before the CFT had a chance to take a fresh look at the possibility of integration, MDA didn’t think it would be able to tie together the systems until the “out-years,” he said, referring to years beyond the currently planned budget years. But “we were able to reprioritize, and some of the things that we were doing to integrate THAAD and Patriot were four and five years away, but we kind of magnified the problem and were able to reprioritize three significant capabilities that we thought would be game-changers with those and actually bring them in about two years to 18 months sooner,” he added. The CFT did not want a niche system to solve the problem, and it determined the capability should inform the brains of the Army’s future Integrated Air-and-Missile Defense — that is, IBCS, which is still in development. The initial fielding of IBCS has been pushed back by several years because the Army wants it to tie together more systems on the battlefield than originally required. 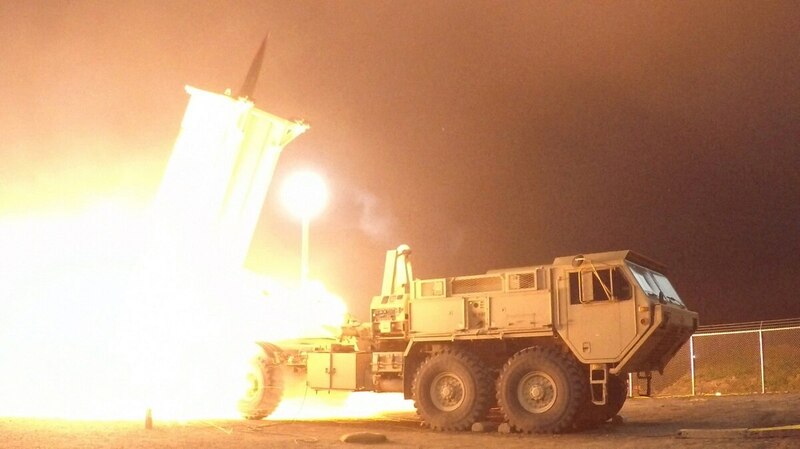 These systems include THAAD and its Indirect Fire Protection Capability that defends against rockets, artillery and mortars as well as unmanned aircraft systems and cruise missiles. 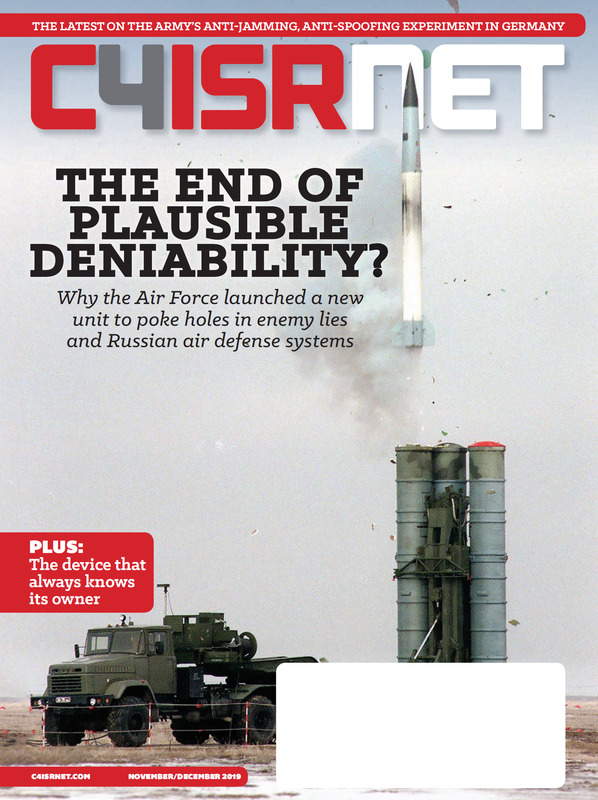 Integrated Air-and-Missile Defense will ultimately replace Patriot. By coming up with an interim solution that helps develop IBCS, the Army won’t pay to tie together THAAD and Patriot — as well as other systems — twice, according to McIntire. “We will be able to take that and, at the appropriate time, slide it into an increment of the future with IBCS,” McIntire said. “It’s going to be a capability that we will use in the interim until IBCS comes online, but it’s going to be with the IBCS style guide, for lack of a better term, and IBCS-informed,” he added. For example, the Army was trying to bring the second increment of IBCS online in fiscal 2022, but with some of the activities being conducted now over the next 18 to 24 months, it’s possible the service could readjust the IBCS program so it is fielding Increment 3 by FY22 instead, McIntire said. The Army would “be able to integrate it a lot faster because we are going to do a lot of the testing that needs to be able to make that work, so I think the idea is that we will be able to maybe go faster on the backside,” he said.